Fat grafting is permanent means of restoring lost volume due to aging or weight loss. The procedure uses your body’s own fat to graft areas of the face, breasts, or hands that have lost volume. The grafted fat establishes its own blood supply and survives as a permanent living part of you. Most of the time, 60-75% of the grafted fat survives and it may require two or more rounds of grafting to achieve the desired result. The procedure has the side benefit of using liposuction to harvest the fat for grafting and can help shape up and smooth out some trouble spots elsewhere on your body. Fat grafting is a popular cosmetic and reconstructive procedure that has very dramatic results that can permanently restore lost volume. Alternatives to fat grafting include the family of hyaluronic acid fillers, hydroxyapatite fillers, and silicone implants. The injectable fillers absorb over time and the effects are lost so you will have to return on a regular basis for maintenance. Each approach and material has its pros and cons and your Restore SD surgeon will listen to your goals to partner with you in establishing a surgical plan that maximizes your results in a safe and cost-effective manner. Fat grafting is generally performed under general anesthesia in an accredited ambulatory surgical center although smaller volumes of grafting may be safely done in the office with mild sedation. Very small incisions are made to harvest the fat for grafting using the SAFELipo™ technique. The procedure usually takes 1-2 hours to perform. The fat is purified in a sterile machine and then grafted into the areas of lost volume to sculpt your appearance into a more youthful and vibrant look. After your fat grafting surgery is completed, you will be able to go home with a responsible adult. Ideally, a loved-one or friend can stay with you for the first few days of the recovery process. Some surgical pain is expected and you will be prescribed pain medication as part of your recovery. You will need to wear a compression garment for 4-6 weeks after surgery to ensure smooth healing of the area from which the fat was harvested. Some swelling and bruising is expected and will subside within the first weeks after surgery. You will have follow up with your Restore SD surgeon after your procedure and will be guided back to your usual activities. Most complications occur from getting too active, too soon after surgery so select a surgical date that allows an appropriate amount of time to heal and gradually return to your more vigorous activities. Fat grafting is a wonderful procedure that can be a stand-alone intervention or combined with other procedures to place additional volume in needed areas. Fat grafting is frequently done as part of facial rejuvenation procedures, part of secondary breast reconstruction, and to smooth aging hands. What happens at my fat grafting consultation? 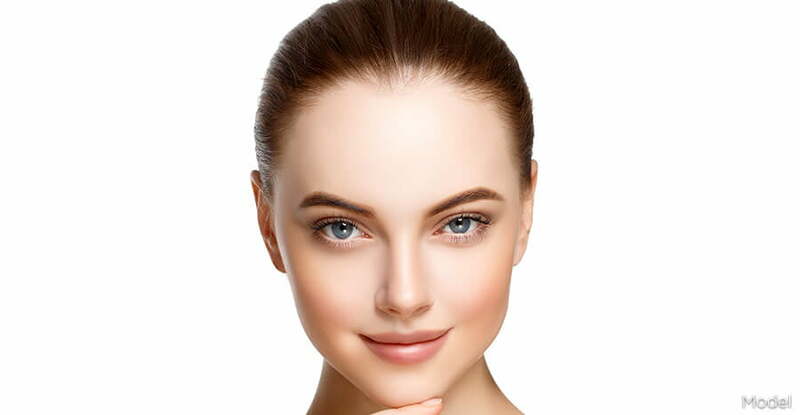 When you visit Restore SD Plastic Surgery to discuss fat grafting it may be as part of facial rejuvenation, breast reconstruction, to treat aging hands, or to treat another congenital or acquired contour defect. Your Restore SD surgeon will perform a thorough examination, take a complete medical history, and review any medications you are taking. At your consultation, you will have photos taken with our Vectra 3D imaging system and discuss treatment areas and options while viewing your photos series. With our state of the art Canfield software, potential surgical results can be viewed and adjustments can be made, helping you to visualize possible outcomes. Your Restore SD surgeon will closely listen to your goals and partner with you to develop a unique surgical plan that optimizes your results and safety. Does all of the grafted fat survive? Although tremendous advances have been made in the field of structural fat grafting, not all of the grafted fat survives. Expertly harvested and carefully purified fat can yield graft survival in the range of 60-75%. This amount of fat survival is very predictable and you can expect to see some decrease in size after the swelling subsides and the non-viable fat is reabsorbed by your body. The final results of fat grafting can generally be seen after 4-6 months. Sometimes patients like to return for a second round of fat grafting in a year or two. It is important to ask if your surgeon is Board Certified by the American Board of Plastic Surgery. As Board Certified plastic surgeons at Restore SD, we have years of training and expertise in fat grafting that cannot be imitated by short courses and alternative certifications. Ensure that your surgeon is proficient in body contouring surgery and fat grafting in particular. The American Board of Plastic Surgery is one of 23 members of the American Board of Medical Specialties. These specialties represent the traditional core of fully trained specialists. Alternative boards have cropped up over the last several years to try to lend legitimacy to incompletely trained or poorly trained practitioners. Accept nothing less than a surgeon certified by the American Board of Plastic Surgery who preferably is a member of the American Society of Plastic Surgeons (ASPS) and American Society for Aesthetic Plastic Surgery (ASAPS). Why should I come to Restore SD Plastic Surgery for my fat grafting? The surgeons at Restore SD Plastic Surgery have over a decade of experience with cosmetic and reconstructive fat grafting. Drs. Douglas and Gallus are both board certified by the American Board of Plastic Surgeons and active members of the American Society of Plastic Surgeons and the American Society for Aesthetic Plastic Surgery. In addition to being fully credentialed, we take the time to listen to your goals and partner with you to develop the best and safest surgical plan that will optimize your results and leave you looking and feeling your best. Our time in the Navy reconstructing war casualties yielded new and unique applications for fat grafting and use of lasers in tissue expansion. We have the expertise and vision to employ fat grafting to artistically sculpt and shape you into ideal proportion. Why is fat grafting surgery for me? Every individual has a unique shape and proportions. Filling out your cheeks, plumping your lips, smoothing aging hands are all great reasons to consider fat grafting surgery. At Restore SD Plastic Surgery, we want you to look and feel your best. Your Restore SD surgeon will partner with you to develop a comprehensive surgical plan that tailors the optimal result to your goals and desires. How much time off work should I take after fat grafting surgery? Depending on your profession and extent of surgery, you should expect to take 1-2 weeks off from work. You will not be able to drive while taking narcotic pain medication. You will need a ride home after having general anesthesia and have a friend or family member stay with you for the first night and a day or two if possible. How do I minimize post-operative scarring after fat grafting surgery? Unfortunately, scarless surgery does not yet exist. However this procedure is performed through very small incisions and injection sites so there are only a few small scars to treat. Your Restore SD surgeons will educate you about scar management postoperatively. A surgical scar will take 9-12 months to fully mature. Your scar will go through changes during the healing process and your Restore SD team will help you manage this part of your recovery. This can consist of skin care, sun avoidance, scar massage, scar cream, and fractionated laser treatments. What should I do to prepare for fat grafting surgery? If you have close friends or relatives who have had fat grafting surgery – start there! A personal story of their journey may guide you to questions to ask your surgeon and having someone with a shared experience is invaluable. Educate yourself by reading our procedure page and viewing our educational videos. Other sources of information include RealSelf and WebMd. I am a smoker – can I have fat grafting surgery? At Restore SD Plastic surgery, we want to deliver safe, consistent, and reproducible results. Smoking tobacco or using any nicotine products has adverse effects on wound healing. Your risk of fat necrosis, infection, and prolonged incision healing are much higher if you use nicotine. We recommend a nicotine free period of 8 weeks prior to surgery and a minimum of 4 weeks after. We have a simple urinary nicotine test that we complete in the office to help you on your journey to a safe and gratifying surgical experience with us. I have Diabetes – what do I need to know about fat grafting surgery? If you have diabetes it is important to work with your medical team to keep an ideal HbA1C. Diabetes can increase your risk for prolonged wound healing and certain types of infections. Surgery can be safely performed but requires a coordinated effort from patients, surgeons, and medical doctors to attain outstanding results. There are some instances where your Restore SD surgeon may want to postpone surgery until your diabetes is under better control. How soon can I travel after having fat grafting surgery?